Let’s think about this for just a moment. If your family name was Lemon, a totally respectable and not uncommon name, would you give your child a first name that is also a citrus? It reminded me of a quaint Canadian television series that my dad used to enjoy, The Red Green Show. His parents should have known that one color in a person’s name is sufficient. Still, the temptation to be silly is irresistible to some people. Years ago I knew an attorney whose last name was Cain. Her parents had named her Candy, of course. Peculiar names are so common today, of course, that there are myriads of internet repositories for them. Names are more important than many of us realize. 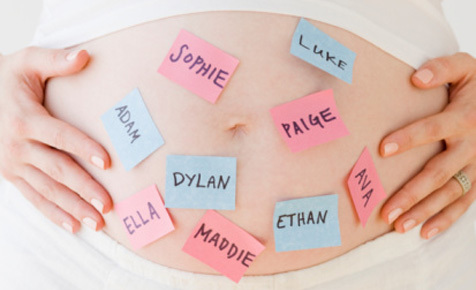 I’ve written in the past about how my wife and I followed the biblical example of choosing our children’s names based on their meanings. Even if that approach doesn’t appeal to a parents, there are an almost unlimited number of options that would not subject their children to unwanted attention. Fortunately, when we get older, we have some control over what we are called. I was “Robbie” in my childhood, and graduated to “Rob” as soon as I could. “Robert’s” always been fine with me, since it’s my given name and what I expect someone I’ve never met to call me. “Bob,” however, is not okay. There’s nothing wrong with “Bob,” except that I’ve never been one. And when someone greets me as such it projects a very false familiarity. Curiously, I recall reading in the Oxford dictionary of names that more primitive nicknames for Robert included Hob, Dob and Nob. So I suppose I should count my blessings when addressed as Bob. C.S. Lewis chose his own name. Many people are surprised when they learn that he went by the name of Jack. How, they wonder, could one get “Jack” out of “Clive Staples?” Good question. Lewis was not enamored with the name Clive. When he was only four, he decided to use the name of a pet dog that had been killed by an early motorist. The pet’s name was a human-friend designation, “Jacksie.” His brother Warren relates the event thusly, in his 1966 collection of Lewis’ letters. Then, in the course of one holiday, my brother made the momentous decision to change his name. Disliking “Clive”, and feeling his various baby-names to be beneath his dignity, he marched up to my mother, put a forefinger on his chest, and announced “He is Jacksie.” He stuck to this next day and thereafter, refusing to answer to any other name: Jacksie it had to be, a name contracted to Jacks and then to Jack. So to his family and his intimate friends, he was Jack for life: and Jack he will be for the rest of this book. It’s fascinating that Lewis’ family acquiesced to his demand, but it took. One small consequence, of course, is that this gifted writer is known today as “C.S.” rather than by his full names. As for faithful Orange, I don’t know if he adopted any other name during his lifetime. He may have been quite content. It certainly did not prevent him from enjoying a meaningful life. He became a Methodist pastor and served as chaplain with the 36th Indiana Infantry. Did you hear about the séances that were held at the White House? It’s true, but it’s not recent news. They were conducted for Mary Todd Lincoln, and her husband, the president, apparently joined in attendance at some of them. The Lincoln’s had lost their eleven year old son Willie to Typhoid in February 1862. Nearly all historians describing Mary’s grief accurately use the word “inconsolable”. Mediums sometimes allow themselves to become physical vessels for these spirits. Christians either dismiss such experiences as fraud, or as demonic possession. Which depends on their own worldview. Some Christians dismiss the spiritual realm, while others recognize it is quite real. C.S. Lewis would be in the latter camp, as his preface to The Screwtape Letters amply illustrates. Christians who acknowledge the spiritual warfare which is waged beyond our physical senses understand the meaning of Paul’s words: “For we do not wrestle against flesh and blood, but against the rulers, against the authorities, against the cosmic powers over this present darkness, against the spiritual forces of evil in the heavenly places” (Ephesians 6:12). The specific article relates the story of Ellen Elvira Gibson (Hobart),** who was the first woman chaplain in the American military. She served a Wisconsin regiment, and her story is nothing short of fascinating. Hobart was a spiritualist, and “ordained” by a group of the same who banded together to provide just such credentials. Interestingly, although she gave hundreds of (paid) lectures in a spiritual “trance” state, she would ultimately reject spiritualism. She turned to a more radical and secular “freethinking” as spiritualism was waning in popularity, but still a formidable presence. To an age increasingly caught up in the notion of science as the measure of truth, spiritualism offered belief that seemed to rely on empirical evidence rather than revelation and faith. If the dead could cause tables to rise, telegraph messages from the world beyond, and even communicate in lengthy statements through spirit mediums, an afterlife clearly must exist. Here was, in the words of one popular spiritualist advocate, ‘proof palpable of immortality’” (180-81). One of Lewis’ dearest friends was Owen Barfield. Sadly, the two remained separated throughout life by their religious beliefs. Barfield had helped Lewis come to believe in God (i.e. theism) but could not journey with Lewis on to Christianity. Barfield, instead, became one of the greatest of Anthroposophist evangelists. Anthroposophy possesses elements of philosophy, but is also inarguably a religion in its own right. It also holds a view of the afterlife distinct from both Christianity and historic spiritualism. But the nature of the religion created by Rudolf Steiner (which evolved from his involvement in Theosophy) is not the subject of our reflections here. However, if one is interested in learning more about Owen Barfield, a 1992 documentary can be viewed here. 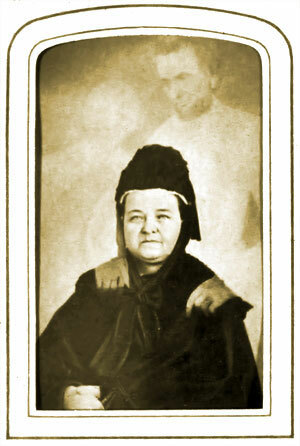 The image above is a famous example of “spirit photography” taken by William Mulmer, who made it popular. He was once placed on trial for fraud, but the case was dismissed for lack of evidence. * I may delay publication of this particular article since the issue will already carry the biography of another chaplain. How should we respond when someone else receives all of the praise and accolades for something we actually accomplished? I confess my natural, human reaction is to resent them for it. The example of one outstanding Korean War chaplain, however, clearly reveals how it is much more noble to simply reject resentment and move forward in life. This column continues a story introduced in my last post, so if you missed it, you may find it helpful to pause and read that piece before continuing. It’s available here. In discussing the plight of the orphans during the Korean War, I mentioned the name of Chaplain Russell Blaisdell. He and his ministry partner, Staff Sergeant Mike Strang, saved nearly a thousand orphans during a single heroic action in December of 1950. 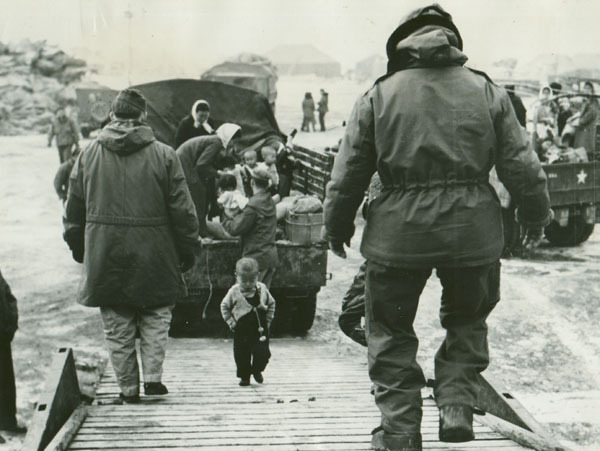 The full story of the Kiddy Car Airlift can be found on the website of the Korean War Children’s Memorial. Here are the highlights. For months Chaplain Blaisdell and Sergeant Strang had been rescuing homeless children from the streets of Seoul. Due to the rapid advance of Communist forces, the fall of the capital city became imminent. The military was rapidly attempting to redeploy its assets, to minimize the resources which were destined to fall into the hands of the enemy. 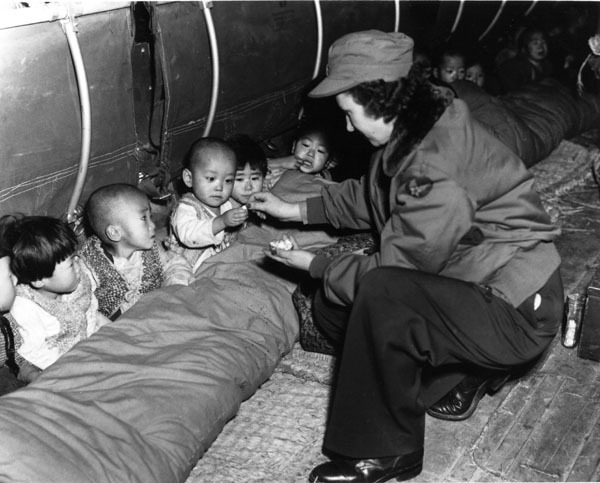 Transporting noncombatants to safety fell far down the long list of urgent missions. The children were nonessential. To everyone, that is, except these two men. The details of their heroic effort are the stuff of movies. And a movie that included this great escape was indeed made. The only problem is that it did not reflect the true story, and neither of the true heroes received their due. The story of this injustice is related online here. Briefly, another Air Force officer, a pilot who assisted Blaisdell with finding quarters for the refugees behind friendly lines, received the credit due to the ministry team. So, exactly how did this travesty come about? Colonel Dean Hess wrote a book, entitled Battle Hymn. 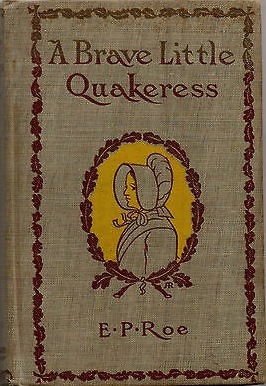 It sold well, and included many significant actions in which the author had presumably been directly involved. However, the most significant event, in which he was involved only indirectly, was a focal point of book and its subsequent film (starring Rock Hudson, no less). Only in very recent years, and unfortunately after Strang had died, has the story been set straight. Blaisdell has received overdue recognition from the Air Force and the Republic of Korea. Strang’s recognition has necessarily been posthumous. Dr. George Drake wrote an article on this unfortunate tale, and although he entitles it “Hess: Fraudulent Hero,” he does offer a less critical rationale for how misperceptions may have been carried so far. Once the movie was released it seemed impossible for Hess to say “This is not a true portrayal of what happened.” Hess had become a captive of his own earlier mis-statement of the facts of the rescue. Recently Hess has privately, but not publicly, stated that he was upset with the way the movie distorted the story of the rescue but the truth of the matter is that his concern for that distortion of the facts did not prevent him from accepting the honors due someone else. In regard to doing anything about it, I have decided in the negative. Although I agree with you in principle, the goal of our efforts, in regard to the orphans and also in the evacuation of the Koreans by convoy, was the saving of lives, which would otherwise have been lost. That was accomplished. In a sense, Mike, well-doing has its own reward, which is not measured in dollars, prestige, or good will . . . This does not mean that I would not be willing to state the facts as they existed to anyone who might properly request them to substantiate your story. Strang joined his chaplain on the high moral ground, and did not create a scandal. I hope that, had I been in their combat boots, I would have joined them there. Even C.S. Lewis was not impervious to the assault of fame. In a letter to his friend Don Giovanni Calabria, Lewis describes how personal concerns prevented him from doing much writing at the time. With great personal insight and wisdom, he adds that this may not be such a bad thing. As for my own work, I would not wish to deceive you with vain hope. I am now in my fiftieth year. I feel my zeal for writing, and whatever talent I originally possessed, to be decreasing; nor (I believe) do I please my readers as I used to. I labour under many difficulties. . . . These things I write not as complaints but lest you should believe I am writing books. If it shall please God that I write more books, blessed be He. If it shall please Him not, again, blessed be He. Perhaps it will be the most wholesome thing for my soul that I lose both fame and skill lest I were to fall into that evil disease, vainglory. Like Lewis, we are well served when we ponder the effects of fleeting fame and worldly success on our lives and souls. And, like Strang and Blaisdell, we should carefully weigh our own motivations whenever we desire to seize the recognition we believe we deserve. After all, in the end what is untrue will be dispelled like the morning mists . . . and when that bright Light shines upon us all, only what is true and selfless will glow with the reflection of God’s own glory. Should pastors be more like cheerleaders, or drill instructors? That’s an interesting question recently posed by the president of World Vision United States. One of the magazines included a review of Unfinished: Believing is Only the Beginning by Richard Stearns. It included an interesting comparison which intrigued both as a pastor and a military chaplain. The great commandments of Scripture have now become just great suggestions, offered like fortune cookies, to take with us or leave behind in the pews. Jesus said, “If anyone would come after me, he must deny himself and take up his cross daily and follow me” (Luke 9:23). 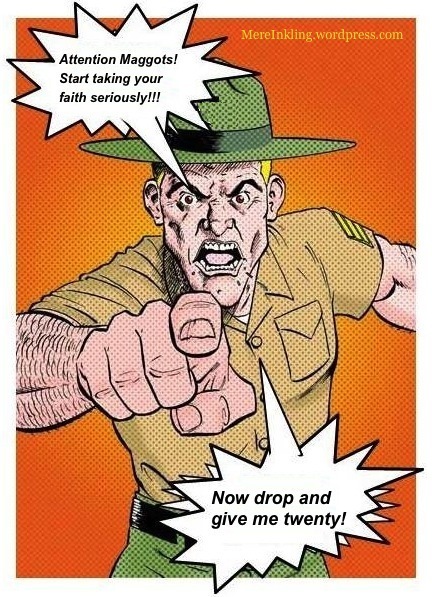 If churches are going to lead a revolution to change the world, then our pastors need to act and speak less like spiritual cheerleaders and more like drill sergeants. 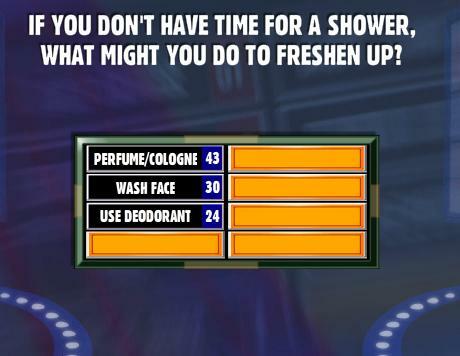 It’s a valid question. But, the truth is that we are talking about a spectrum, not an either/or dichotomy. A pastor should never be a mere cheerleader. Nor should a minister ever be a simple drill sergeant. Being a pastor is much more complex than either of those labels. Far better to use the metaphor of shepherd. That’s actually the theme of the book—Christian discipleship. Following Christ more closely each day, as we correspondingly come to more and more resemble our Father. Disciples are not expected to just “talk the talk” of obedience; they are to “walk the walk.” Studying the blueprint in Scripture means that we follow its instructions. It requires that we obey what Scripture teaches. Anyone seeking to truly know God’s calling on his or her life must be serious about obedience. Do we really think that God is going to give a critical kingdom assignment to someone who hasn’t been faithful in day-to-day obedience to his commands? Far too many Sunday sermons bat around theological ideas like badminton birdies for half an hour. They quote a few verses of Scripture, tell a few stories, throw in a line or two from C.S. Lewis or Dietrich Bonhoeffer, but never challenge the congregation to change anything in their lives. The sermon is offered like a piece of gum for congregants to chew on for half an hour, but as soon as they get to the parking lot, most will spit it out. The job of the church is not merely to explain the truth but, rather, to use the truth to bring about life change. I’ve never been accused of preaching chewing gum sermons myself, but I know exactly what he is alluding to. Unfinished doesn’t actually object to quoting Lewis, just to a shallow, formulaic approach to sermon preparation. The book, in fact, includes several Lewisian citations of its own, referencing no fewer than four of his works. As a fellow writer and theologian who loves quoting C.S. Lewis, I’ll forgo pointing out the irony.